George Moncur came closest to scoring for Posh reserves in Southend. A strong Peterborough United line-up was beaten 2-0 at Southend in the Central League today (November 29). 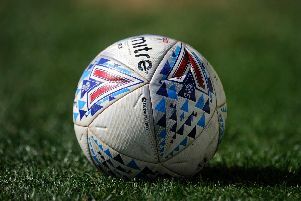 Ten players with Football League experience plus young left-back Lewis Freestone started the game, but they were undone by second-half goals from Joe Bedford and Japanese youth international centre-back Dan Matsuzaka. Dion Henry (right) was in goal for Posh Reserves at Southend. Posh goalkeeper Dion Henry was unfortunate with both goals as both were scored on the rebound after fine saves. Summer signing Brad Inman continued his recovery from a broken leg by completing 70 minutes, but on-loan midfielder George Moncur came closest to scoring with a first-half strike that was well saved.